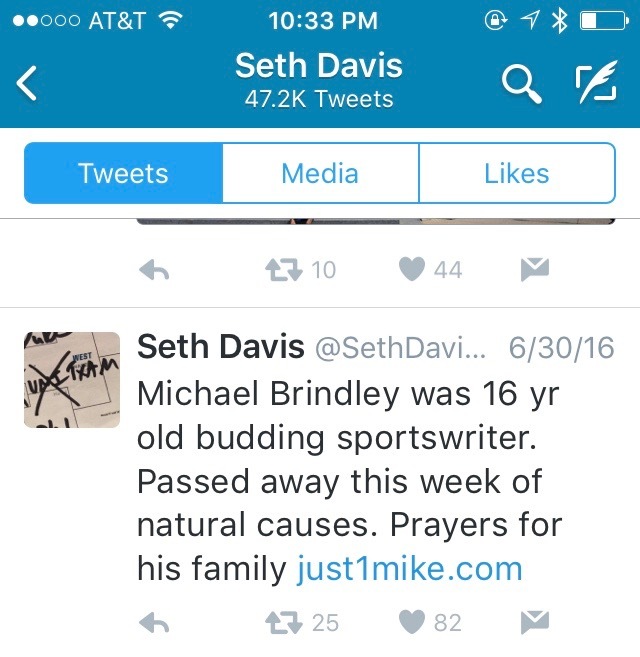 Known for his kind heart, passion for sports and zest for life, Michael Brindley passed away suddenly and unexpectedly this summer at the age of 16 from natural causes. 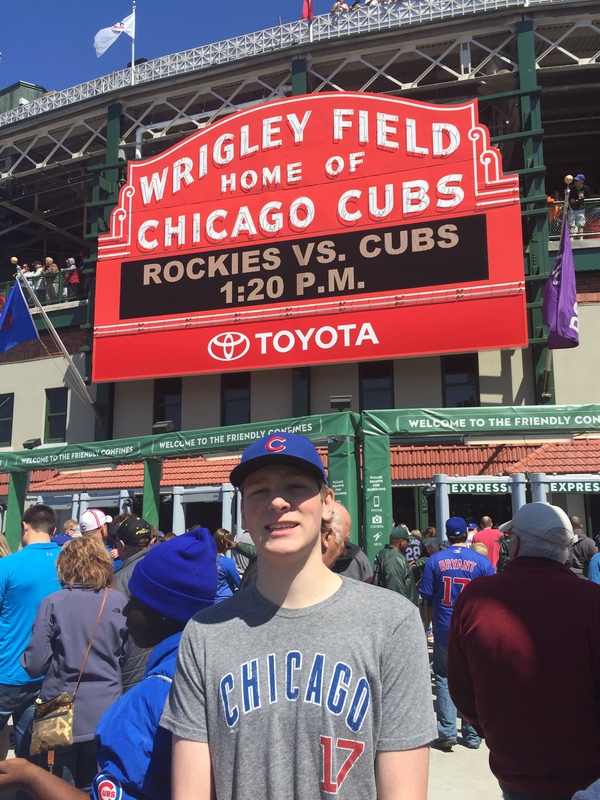 A rising high school junior, Michael created this blog three years ago when he was just 13 as a place to begin his dream of sports writing and broadcasting. His passion for sports was contagious and he was described by many as having an encyclopedic mind for stats and sports knowledge. Since the inception of just1mike.com, Michael published 110 posts with his last post on June 18, 2016, just days before he died. Michael’s sports passion started at a very early age and his allegiance to certain teams was no secret. 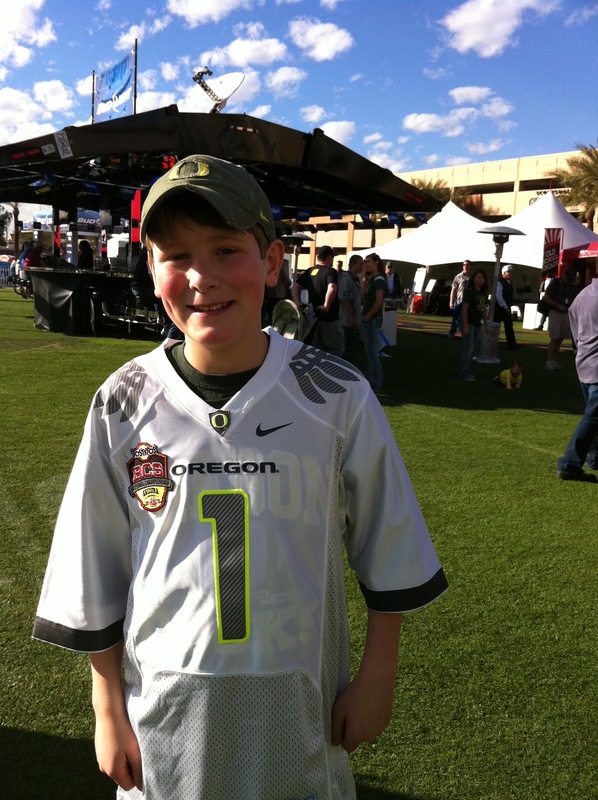 He absolutely loved the Oregon Ducks, Michigan Wolverines, Buffalo Bills, Oklahoma City Thunder and the Chicago Cubs. His favorite sports were undeniably football, baseball and basketball. He was also a fierce supporter of his two brothers and their football teams, the Nazareth Academy Roadrunners and the Saint Xavier University Cougars as well as his beloved high school teams, the Hinsdale Central Red Devils. 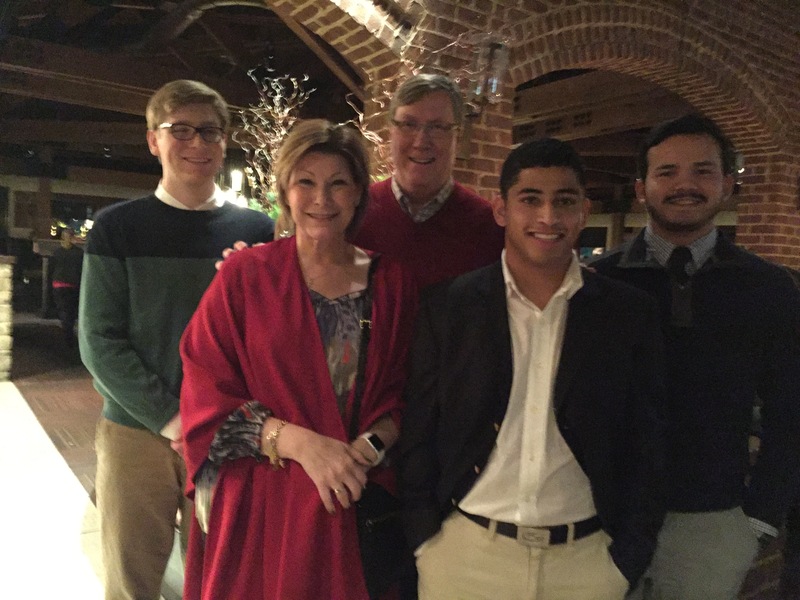 While this blog was Michael’s main vehicle for writing, he was also a student writer for the Daisy Field Life Magazine in his hometown community, contributing regularly with an “Athlete of the Month” column. After completing a high school journalism course last year, he interviewed for and was brought on staff to start writing this school year for The Devil’s Advocate, an award winning publication from his high school. Michael’s favorite times of year were undoubtedly “March Madness” with college football season playing a very close second. His passion for college sports was always electric but caught even more fire during March Madness. His ability to master information on all the teams and his own form of bracketology dazzled us all. What we will never forget is the enthusiasm, big smile and the twinkle in his eye when he was so happily wrapped up in all the excitement. He shared his bracket and predictions for this year’s tournament on his blog. On April 5, 2016 he predicted Villanova to win the tournament by two….Villanova won this year by three points. Before Michael left for camp this summer he worked on his college football predictions and had those ready to post at the end of the summer. We will post those predictions before the start of the college football season this weekend. Attending games and sporting events was naturally one of Michael’s favorite past times and he went to some great events….the BCS National Championship game in 2011 to watch his Ducks take on Auburn, the Big 10 Football Championship in December of this year where we also went to the College GameDay broadcast (his favorite show), some great games at Wrigley Field cheering on his beloved Cubs and several Michigan basketball games, to mention just a few. 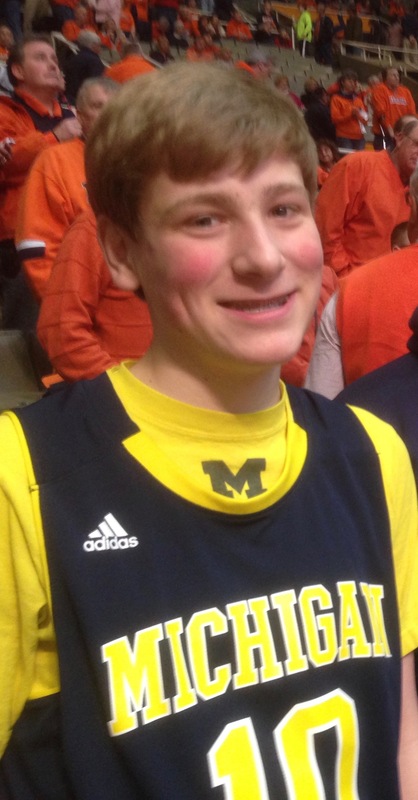 He missed getting to a couple meaningful places on his wish list….watching Michigan football at the Big House in Ann Arbor and seeing the Buffalo Bills play a home game in Buffalo. 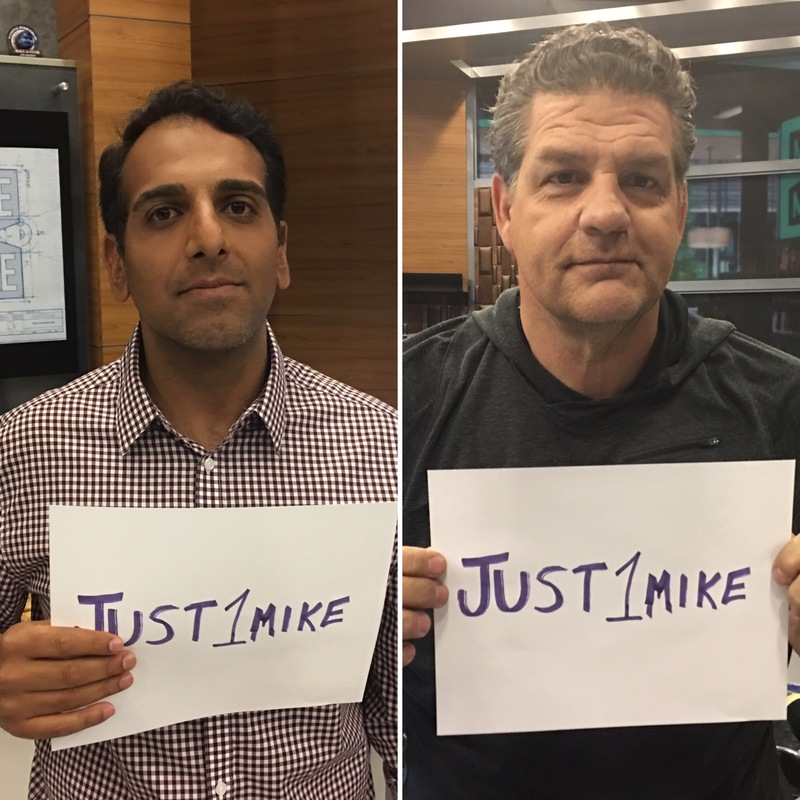 Mike Golic,@espngolic, co-host of ESPN’s radio show Mike & Mike and Adnan Virk, @adnanESPN, an anchor for ESPN’s Baseball tonight honored Michael with a photo holding up Michael’s blog name, just1mike. 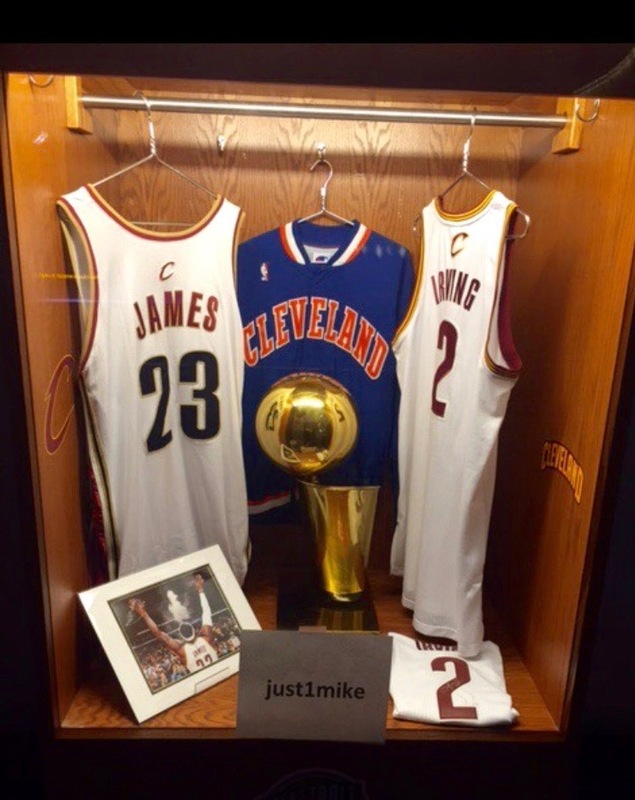 On July 1st, the day of Michael’s memorial service, the Basketball Hall of Fame in Springfield, Massachusetts added a just1mike sign to the NBA championship display for the Cleveland Cavaliers. That night, the dome was illuminated in red to honor and remember Michael. We can just see the smile on our boy’s face as he saw these wonderful tributes and the red dome that night. 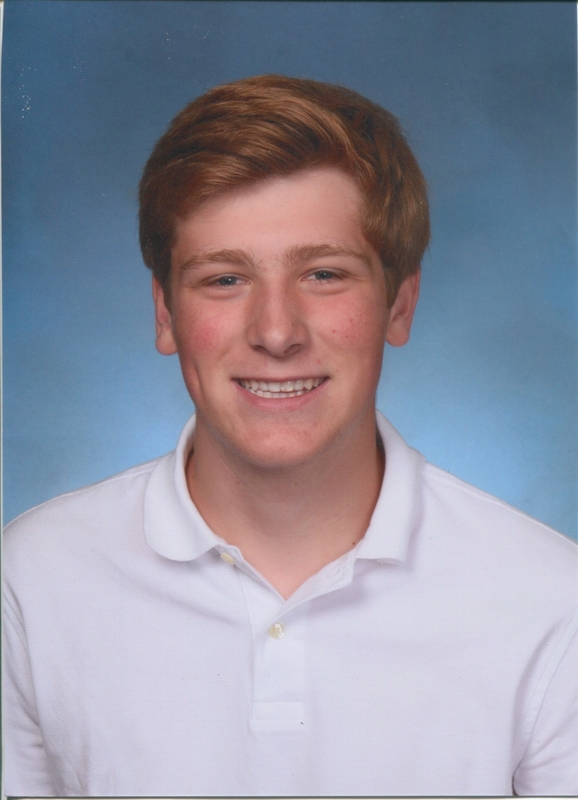 Michael was all in when it came to sports, but he had another very strong interest and passion as well and that was his team, his company at Culver Military Academy Summer School. This six week summer camp is a unique and wonderful leadership opportunity that draws kids from around the world to the campus of Culver Academies on the shore of Lake Maxincukee in Indiana. 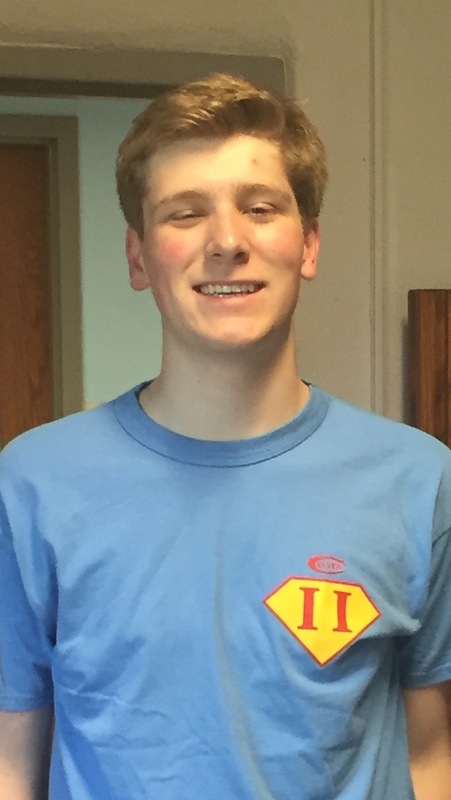 Michael had just started his third and final summer of the program in June and would have graduated with a First Class rank from Culver at the end of July. He was in the Naval School and a devoted member of the unit Naval Two, affectionately known as Super Two. Michael loved Culver and the brotherhood of Super Two. He formed friendships around the globe and became both a leader and a great friend to so many kids from his company and throughout the camp. We traveled back to Culver at the end of July to represent Michael at an important end of camp event and his favorite event, the Naval School Communications Relay. The boys of Naval Two lost a friend and a brother this summer. 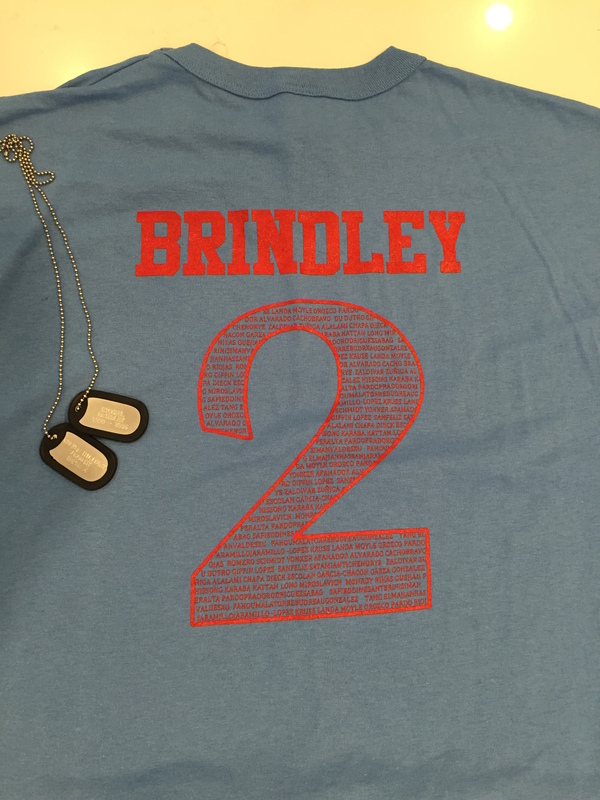 They are a very special group of young men who dedicated their summer to Michael and honored him in many beautiful ways.They designed a special Com Relay shirt and dog tags which they wore for Michael during the race. We were presented shirts and dog tags before the race by two of Michael’s dear friends of Naval Two which is something that will stay with us forever. We are a family of five and will always be a family of five. Michael is the youngest of three boys and has grown up surrounded by the love of his two devoted parents, his brothers Robbie and Jack along with two dogs, Lucy and Hunter. He brought so much love, joy and laughter to our family. Our house was filled with sports banter, and endless loop of ESPN on TV followed by the countless games we watched together. We have been a divided house when it comes to Chicago baseball with Michael and his mom rooting for northside Cubbies and his dad and brothers cheering on the White Sox. This year though, our family has united for Michael to cheer on the Cubs. 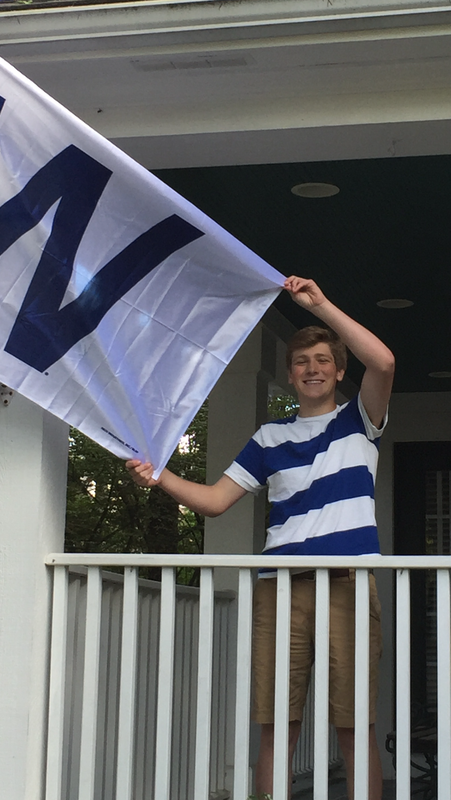 We are so hoping that this is the year for the Cubs to take it all…GO CUBS GO! Michael, was a passionate sports fan with a love for writing and dreams of working for ESPN one day. More importantly, he was a loving son, brother, grandson, nephew, cousin and dear friend to so many. He was and will always be a gift and tremendous blessing to our family. Our lives are forever changed by the life and loss of our beloved Michael. A bright light to all who knew him, Michael touched the lives of so many people with his beautiful smile and friendly ways. While his life on this earth was much too short, he packed it full of love, passion, affection, laughter and loving kindness. Although it hurts me to say this, the Patriots have looked unbeatable. The last team to beat them were my Buffalo Bills. Coach “Belicheat” has his team playing at a high level. The main thing that has popped out is how successful the run game has been. 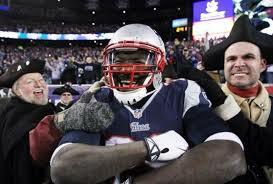 When LeGarrette Blount isn’t punching Boise State players or driving under the influence he is a great back. Coming out of the University of Oregon he was highly hyped but hasn’t lived up to it until now. He is a punishing running back. Blount won’t run around the defender he will run through them. He is very similar to Seattle’s star running back Marshawn Lynch. If the Patriots want to be crowned world Champions and not be remembered for spygate and deflategate, they have to establish a run game so Tom Brady can slice through Seattle’s incredible secondary. The Seattle Seahawks are the best in the business. The Champs are going for two years in a row. Packers fans are still in shock after the Seahawks miracle “come from behind victory”. The Legion of Boom is the key to victory. 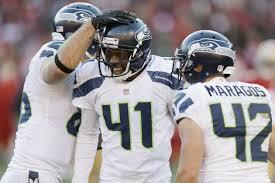 Cornerback Byron Maxwell will play a crucial role if the 12th man wants one more ring. We all know what Sherman brings to the field. No one throws to his side so Maxwell is going to see a lot of action. I believe he is the most underrated player in the NFL and I am hoping my Bills pick up either him or Derrelle Revis to add to that stifling defense, but wer’e talking about the Super Bowl here. I believe he will shutdown Lafell or whom ever he goes up against and Maxwell will make his money today. 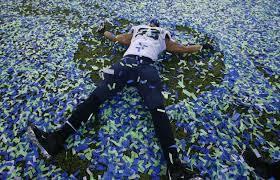 Although Brady and the Pats have been incredible I really do believe the Seahawks defense will come out on top and repeat as World Champions. The NFL preseason has just began. After the first week of football I was most impressed by the Buffalo Bills in their blow out win against the Colts. New QB EJ Manuel was a little shaky in his first couple drives, but that was just nerves. What impressed me the most was EJ’s 2 minute touchdown drive to end the first half. He showed a lot of maturity and poise. He sat in the pocket and delivered the ball perfectly. Also another rookie, Marquis Goodwin, was phenomenal. He almost took his first kick return back for a touchdown and he did bring his second one back all the way. I am very excited about this year. This is the year, I believe, the Bills will end their postseason drought and make the playoffs. 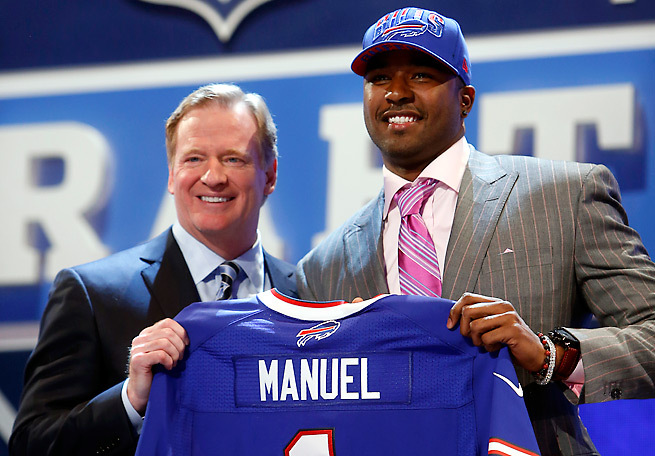 On Friday night the Buffalo Bills surprised every one by picking EJ Manuel in the first round. All of the hype was on Geno Smith, Matt Barkley, and Ryan Nassib but no one was paying attention to Florida State quarterback, EJ Manuel. It was a very emotional night for Manuel, his mom has been battling breast cancer for a long time and during the Orange Bowl vs Northern Illinois she was very sick and was not in the condition to attend EJ’s final game as a Seminal. Mrs. Manuel has taken care of EJ his whole life while fighting this wicked disease but now it is his time to take care of her. Mrs. Manuel is cancer free right now and her son is the man in Buffalo. I think that Manuel is going to be an instant success because of all of the weapons around him. 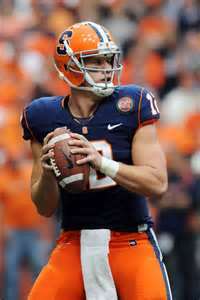 He will be able to throw the deep ball to Stevie Johnson and T.J Graham. Behind Manuel will be explosive running back CJ Spiller. I think Doug Marrone will have a fun time and will establish a option where EJ can pitch it to Spiller or use his break away speed and take it himself. I think the Buffalo Bills will have a similar offense to the 49ers and I think the Buffalo Bills will make it into the playoffs this year. The NFL Draft is hours away and I can’t wait. Here’s a list of the top three steals of the 2013 NFL Draft. Jordan is the top rated pass rusher coming into the draft and I don’t think he is going to upset. Jordan is quick, tall, strong, and has one of the hardest hits I have ever seen. Dion Jordan reminds me of Mario Williams, former number one draft pick to the Texans and current defensive stud for the Buffalo Bills. Both of these guys are freaks of nature, they are as tall as the Empire State building and there is not an ounce of fat on either defensive end. 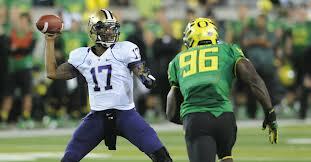 I think Dion Jordan is the best player in the draft. Smith is the top rated quarterback. He has many doubters that say he is over rated but I think he will prove them wrong. Smith has a gun for an arm and if he is in trouble he is a good scrambler. 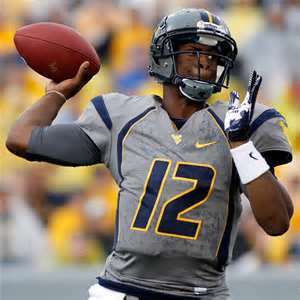 I think Geno will add a high gun slinging mentality to whichever team he will be drafted by, probably the Buffalo Bills and make their offense unstoppable. Most of you probably think I am crazy right now but Robinson will not play quarterback in the league. He has top speed and at any moment can use his explosiveness to break away and run down field for six. I think he will be a dangerous kick returner and he could be a wildcat QB like Brad Smith. Robinson is no Lottery pick but he is one dangerous player. See happens tonight when the NFL draft starts at 8:00 pm eastern time! The NFL Draft is almost two months away and people are already speculating who will go where and what impact that one key player could have on a struggling team. We all know what happened last year when Stanford’s Andrew Luck arrived to Indianapolis to re-glorify the crumbling demise of the Colts. The issue of deciding a proper quarterback to help lead your team to victory is always a tough one and with this year’s elite class of quarterbacks it’s not going to get any easier. 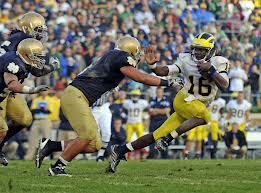 Today on my guest blog debut on Just1mike, I will be analyzing the top five QB’s going into this year’s NFL Draft. Who do you think will be the first QB draft? Weaknesses: Not able to throw on the run, bad footwork under center. Projected Team: Kansas City Chiefs, 1st round. Why: Since the Chiefs have the first pick in the draft I can see why they would take the number one quarterback. Especially because they are in the need of a new QB. Their current QB, Matt Cassel, is not the greatest QB out there. Smith would provide a renewing change of pace for the struggling Chiefs and hopefully turn their team around. Weaknesses: Not an Ideal height (6”2), makes mistakes under Pressure (Interceptions, Fumbles, not a Scrambler). Projected Team: Arizona Cardinals, 1st round. Why: The Cardinals were left in the dust of Arizona last year when they sadly found out that Peyton Manning decided to take his talents to Denver. Now they have the great opportunity to pick up an elite QB that could end their sorrows. He would be the best choice because he’s a leader that would help command the offensive side of the ball. They already have wide receiver Larry Fitzgerald who would be a great weapon for Barkley to use due to his strong passing abilities. My vote is that Barkley ends up in Arizona. Weaknesses: Because he’s 6”6 he struggles when the pocket collapses to speed up out of the way of oncoming defenders. Projected Team: Cleveland Browns 2nd round. Why: Cleveland has some talent that could be utilized, they just need more of it. They have RB Trent Richardson who can develop a solid running game if given the chance, now they need a better passing game which is what Glennon can deliver. The reason I have him as a second round pick is that they need to rebuild the O-Line first. You can’t be successful at either running or passing without being able to be confident that your O-Line will be able to block for you. One last thing, Cleveland needs a backup for Brandon Weeden. He is already an older QB even though he was drafted last year, and Glennon is young and ready to play. Strengths: a confident pocket passer who can hit stationary targets well, has leadership qualities. Weaknesses: Not a good runner under pressure, good linebackers will realize how low he carries the football which can be an easy fumble. Projected Team: Philadelphia Eagles 2nd round. Why: The Eagles just resigned Michael Vick for another year. Because of his age he won’t be in it for the long run. They need new to bring in another QB to learn from Vick and get ready to lead a very talented Eagles offense. Strengths: Has a strong arm, his quick release is useful when trying to get short yardage in a third down situation. Weaknesses: Like Barkley, he is not an Ideal height for a NFL Quarterback. His footwork could use some improvement as well. Projected Team: Buffalo Bills 1st round. 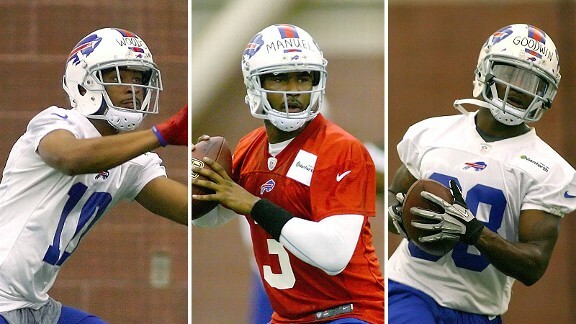 Why: We all know the Bills have been absent from drafting a QB for a while. Last year they passed up Russell Wilson, which was a MAJOR mistake on their part. 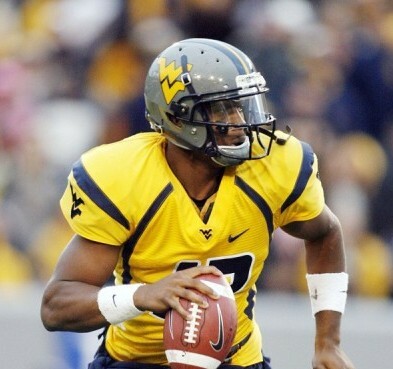 Now they need not to make the same mistakes of the past and pick up this gem of a QB. He would much improve the third down conversions of a struggling Bills passing game. He’s already familiar with new Bills head coach, Doug Marrone, and that means he already knows how to utilize his many talents and knows what he needs to improve on as well. He also can use some of the Bills best receivers like Stevie Johnson to his advantage by firing him some deep passes in tight situations. Ryan you need to stay in New York and head west to Buffalo. Angels in the outfield? YES indeed!